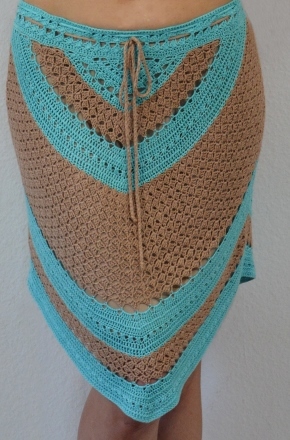 Another awesome pattern…wishing for a plus size! 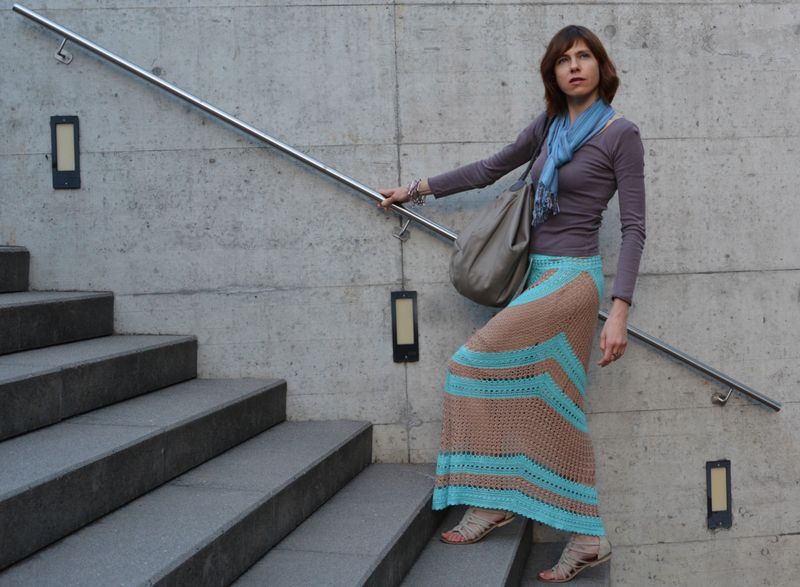 It is possible to add more motifs so the skirt fits hips circumference 118-126 cm (46.5-49.50’’). If each yarn ball has 500 yards then you will need 900 yards of turquoise (or 1250 yards for a bigger size) and 1100 yards of light brown (or 1600 yards for a bigger size). I’m 5’75”, for other height yarn usage might vary.